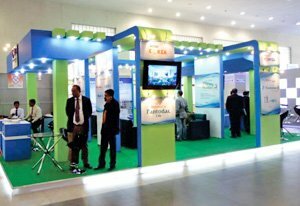 Brite Entertainments is one of the best unique exhibition stall designers & exhibition stall fabrication in Vadodara, India offering its services pan India. Our team is highly motivated and in sync with latest market trends. We use the best materials and cutting edge technology to deliver creative and innovative exhibition stall design and fabrication that instantly catches attention. We also offer one of a kind , state of art 3D stalls to our valuable customers for exhibition stalls. Having worked in various spheres of industry, we know what is best suited for a particular industry. Our solutions will be specially tailored to suit your location, timelines and budget constraints. You can count on us to deliver a stellar designer stall that matches your needs and at any location across the country.